In this issue of The Pinnacle Newsletter Blog, we’ve already published the names of the top contract recruiters in Top Echelon Network for the first quarter of 2019. While we usually publish the information in this particular blog post before now, we have even more trends and statistics for you. Top Echelon Contracting has helped recruiters offer contract staffing to their clients for nearly 27 years. 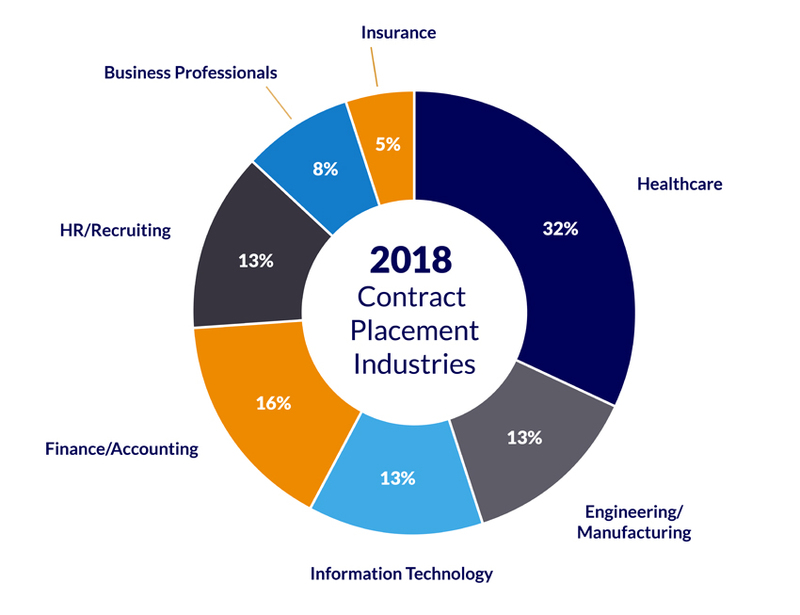 And now, we’re presenting the top industries for contract placements in 2018. The top industries are . . . If you work within any of the above industries, then you should consider offering contract staffing services to your clients. The process is the same as it is with direct hire placements. In a recent post I wrote for the Top Echelon blog titled “5 Ways Contract Staffing Helps Balance Your Recruitment Desk,” I alluded to the unpredictable economic conditions in our country. Specifically, I mentioned that some financial experts are predicting a recession in either 2020 or 2021. That’s why it would be a prudent move to add contract staffing solutions to your agency’s business model. Doing so would help to balance your recruiting desk, so that both your desk and your agency would be better positioned to deal with the recession when it occurs. Because it IS going to occur. Want more information? Then download our Quick-Start Guide to Contract Staffing. Or request a demo with one of our contract staffing specialists. You can can also call us at (888) 627-3678. Start making contract placements and start making more money!